So, I've had this set of text book perfect millettia laurentii, or African Wenge (pronounced weng-gay), wood in my shop for a handful of years. A couple of months ago I finally found the inspiration to use it, and the perfect instrument to use it on - it's the spruce guitar I'm currently working on, that will be done in about two weeks. 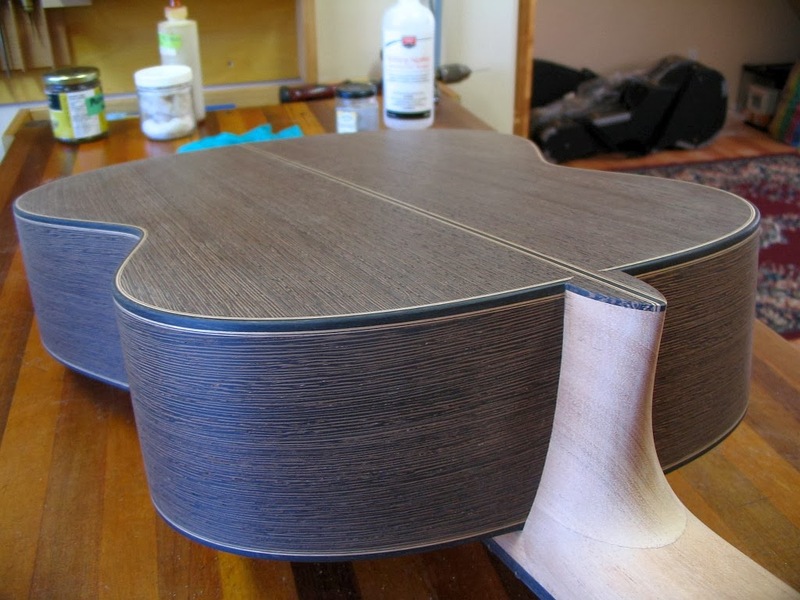 The tap tone was what won my curiosity initially, but I'd heard from a couple of other luthiers that wenge has a great sound. Now using it I'm finding it has a really unique set of properties that will make it a one-of-a-kind tonewood for sure. It's super heavy, but also incredibly stiff and has the most sustaining tap tone. It looks a bit bambooey, which might take some getting used to, but it's also very dark and classy with perfectly even grain - no anomalies or runout at all. On the down side, it gives off the most frightening slivers, and dulls edge tools like knives, planes and scrapers literally instantly. Immensely annoying for the guy making the guitar, so I don't think wenge could possibly be my all-time favorite tonewood, but I'm definitely growing very fond of it nonetheless. Besides, just because I don't love sharpening my knives so often doesn't mean the wood isn't going to make a superb guitar! Wenge is still available in stunning quality and is not CITES listed or trade restricted, but it is unfortunately an endangered species, so I'd be sad but not surprised to see the quality or availability going south in the future. 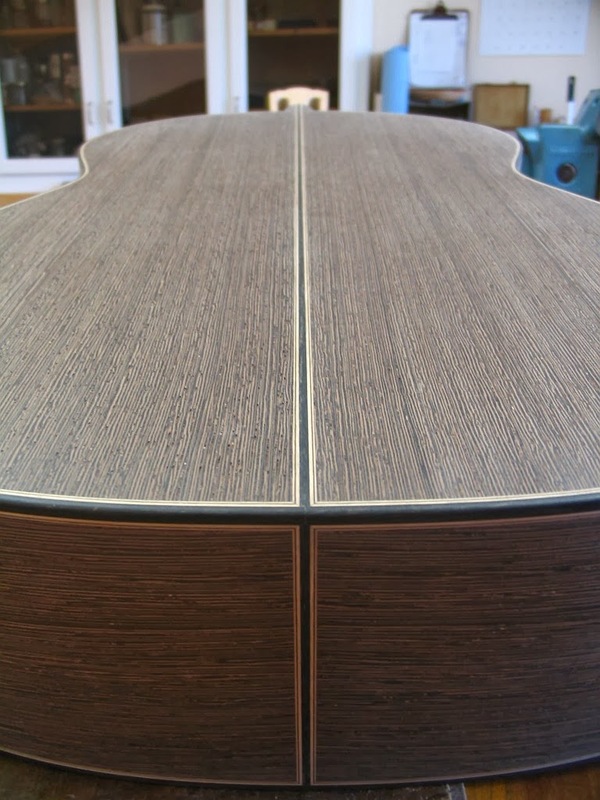 Based on wenge's qualities I'm expecting this guitar to have a deep, resonant, slightly dark and crisp/articulate sound, a lot like Brazilian rosewood (although the woods are nothing alike). 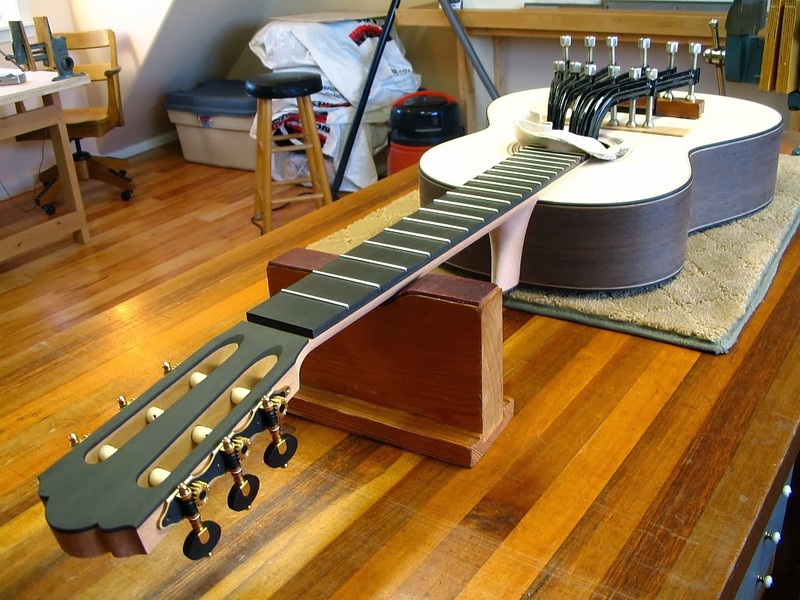 So I decided to pair it with a European spruce top and a very traditional 7-fan bracing pattern for a super classy, refined, colorful sound with character. To give the instrument a harmonious one-of-a-kind presentation, the visual aesthetic is on the theme of depth and resonance too. A lot of dark and rich colors, and limited white to control the amount of visual contrast. I'll see if I can record some sound samples to post when it's done. 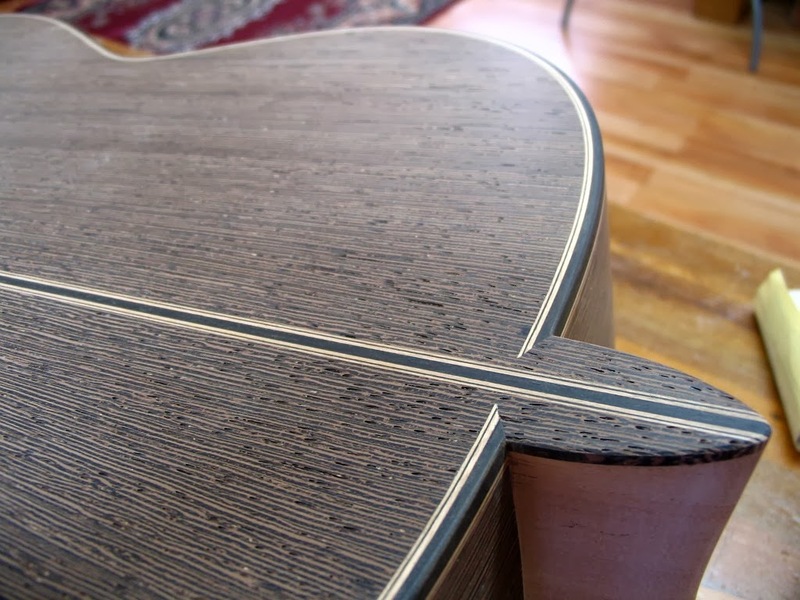 The guitar is going to Savage Classical Guitar in Bay Shore, New York.